At last! I found some time for some non-crochet crafting! A while back I saw some Coca-Cola wine glasses on Pinterest and knew I had to make some because my mother is a HUGE Coca-Cola collector. The best part is that you can get the materials (except the glue) from the Dollar Store! 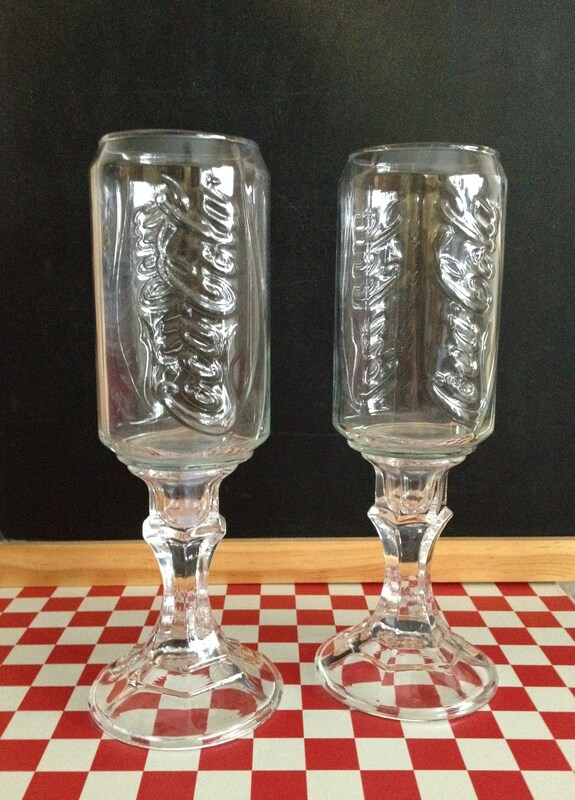 For the price of $4 total, I purchase 2 Coca-Cola glasses and 2 candlestick holders. 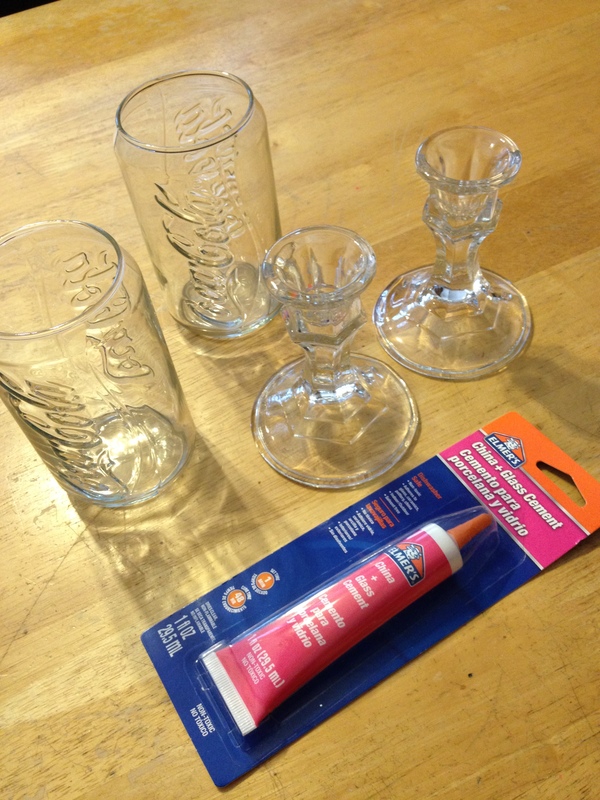 For a few dollars more, I purchased some glue specifically made for gluing ceramic and glass and voila! I will say that initially I was not impressed with the glue. It was very watery and did not hold at all in 60 seconds like it claimed– not even in 5 minutes. However, by the next day, all appeared well. The glue is holding the glass pieces together. I’m happy with the end result and I think my mother will be thrilled with this Christmas gift! This entry was posted in General Crafts, Uncategorized and tagged Coca-Cola, Coke, dollar store crafts.